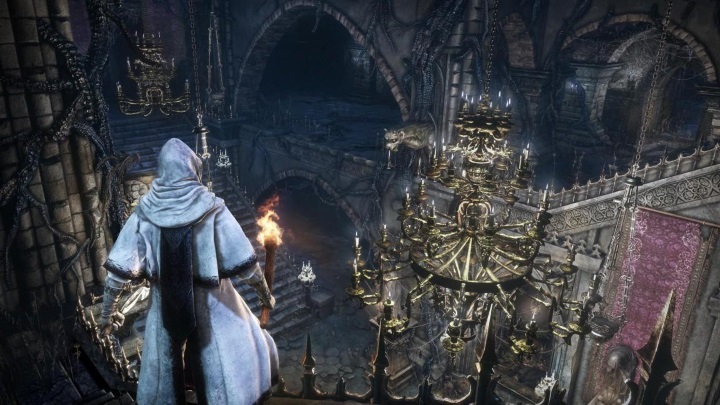 Bloodborne Is Hard as Nails: Is This a Good Thing? Now that the reviews are in, we know that Sony’s PS4 exclusive Bloodborne has been lauded by game critics, as a matter of fact its Metacritic score of 93 means it is the highest-rated new-gen exclusive yet. It is likely to sell pretty well then, and make up for the disappointment that The Order: 1886 was. But still, this game might not be your cup of tea if you are the sort of gamer who wants to grab the gamepad, sit on the couch and relax. If you are familiar with Japanese designer’s Hidetaka Miyazaki games, such as the earlier Demon’s Souls for the PS3 and its successor Dark Souls, then you know that his games can be punishingly hard. As a matter of fact they are aimed at dedicated players who have a significant amount of time to spend conquering the challenges posed by these very difficult and punishing video games. And early in Bloodborne’s tutorial, you are up against one of the game’s many fearsome enemies, a big werewolf. Although this fight is winnable, you are supposed to lose so that the game can progress and the player be given his first weapon (yes, you are supposed to fight the werewolf with your bare fists). Dying is obviously a big part of games like Bloodborne and Dark Souls, which delight in putting players through hair-pullingly difficult ordeals. 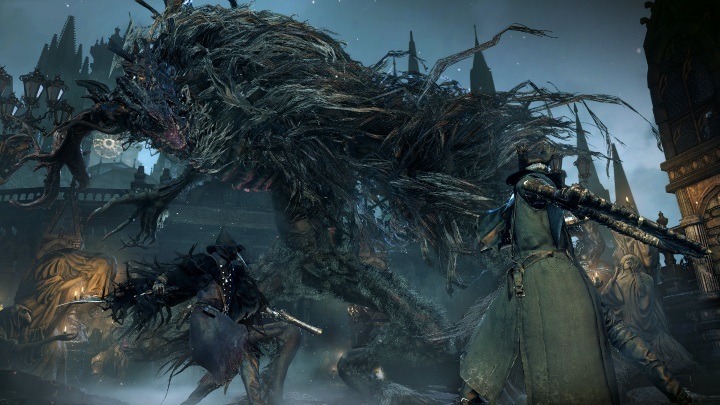 In order to reach Bloodborne’s first boss, the Cleric Beast, you have to navigate the game’s creepy environments and deal with cleaver-wielding enemies who can make short work of your health bar. There is only one checkpoint available for the first few hours of gameplay, meaning that every time you die you have to re-tread the same old ground and kill the same enemies (yes, enemies respawn). But when you do kill a boss, such as the horned monstrosity that is the Cleric Beast, and unlock a new checkpoint, there is obviously a sense of accomplishment. But what have you accomplished? A video game made you endure hours of frustration and left you with frayed nerves so that you could stand over the corpse of a dead enemy and know there is more suffering and frustration until the end? In my view, a game like Bloodborne is probably the video game equivalent of a movie like Ridley Scott’s Prometheus. It is a dark sci-fi film with plenty of disturbing scenes, there are no truly likeable characters, and the protagonists either die horribly or suffer terrifying experiences. It is the kind of movie that reminds us of our inadequacies and vulnerabilities, and of the hardships of life. It is definitely not a “feel-good” movie. And fighting through a game like Bloodborne never really feels good either, it is a game you endure more than enjoy, and while many people revel in this sort of experience, I believe video games should be relaxing escapist fantasies first and foremost. Like Bloodborne, Ridley Scott’s Prometheus is not a “feel-good” experience. And Bloodborne is obviously the polar opposite of a game like The Order: 1886 in terms of difficulty. The Order’s cover-based shooting is never really challenging, and you can be done with the game in less than 10 hours. You may think more or less of its story, characters and gameplay, but at least the game does not force you to endlessly repeat sections and re-tread old ground. Bloodborne’s gameplay is dangerously close to masochism, and its level of difficulty in many ways surpasses the hardest old-school games. But then again, not everyone needs a relaxing video game experience, it seems. Punishing games might be your cup of tea, but bearing in mind that Bloodborne doesn’t even let you pause the game to take care of your basic necessities, Sony and developer From Software need to be reminded that even the most dedicated players can only endure so much punishment, and need to take a break every now and then.